When it comes to removing my makeup I am always after a cleanser that will remove the darkest of eyeshadow and most stubborn Lipstick. Due to working in the entertainment industry I have to wear a lot of quite heavy makeup and at the end of the day it is always a nightmare to try and remove it all without leaving my skin red and sore. When I discovered the ultrabland Cleanser my makeup removing nightmares were over. 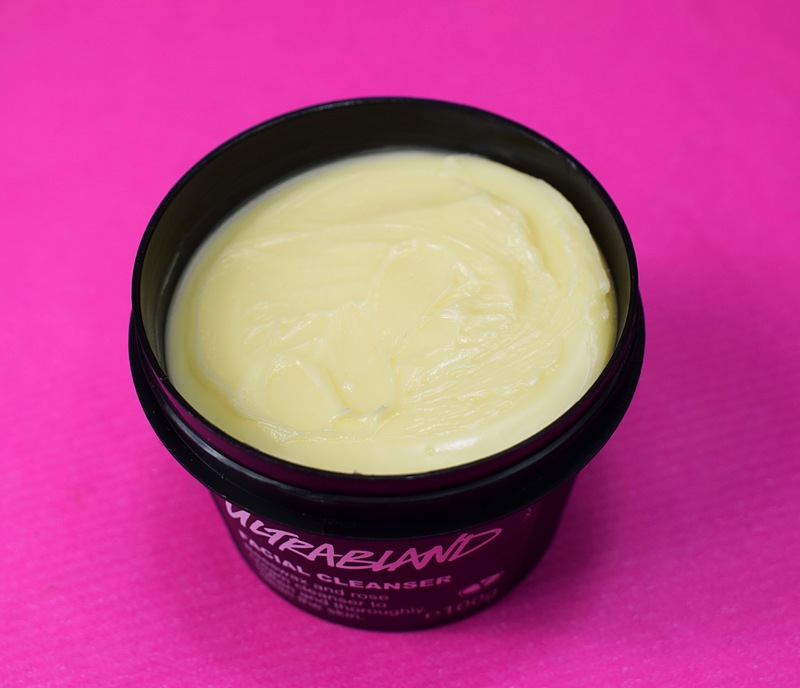 This cleanser has a balm like consistency and is based on the ancient Greek formula for cold cream. The balm like formuler makes it perfect for removing make up as dirt and makeup dissolve alway without stripping your skins natural defences. 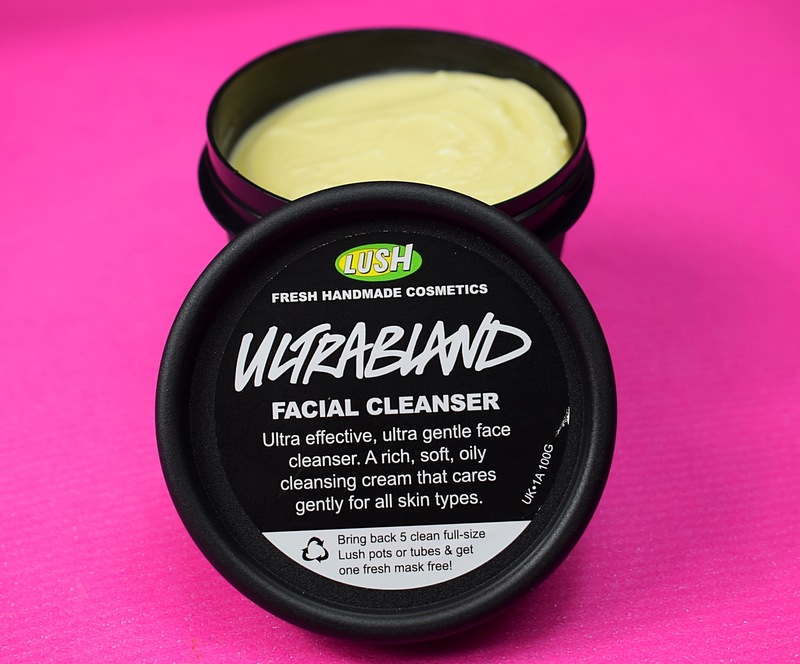 Although I love to use ultrabland as a makeup remover it can also be used as a general cleanser and it’s creamy feel makes it feel very luxurious and soothing on the skin. The ultrabland Cleanser contains almond oil, rose water, beeswax and honey which gives is a very natural and gentle scent. Personally I would say this product is almost unscented it’s fragrance is that gentle. To use I take a small amount on my hand and massage it into my skin. I then use a warm damp face cloth or cotton wool to remove the cleanser. After use my face always feels super clean and my skin feels incredibly soft. 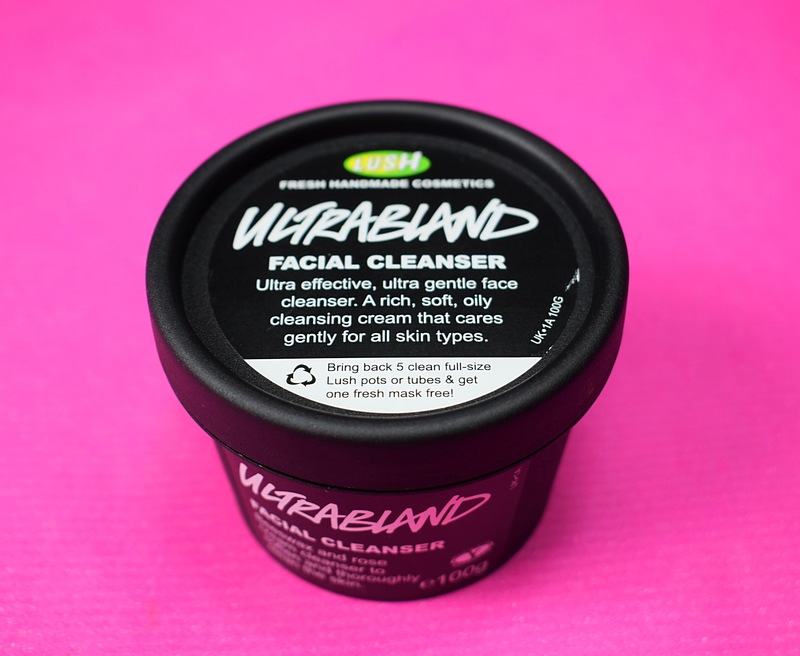 I do find the cleanser a little greasy so I always make sure I do a second cleanse to completely remove any traces of the ultrabland. This always makes sure my face is 100% makeup free and squeaky clean. Overall I really enjoy using this cleanser. The Ultrabland Cleanser is so effictive yet gentle it has become a firm favourite in my skincare routine. Please contact lush for a full, accurate and upto date ingredients list.